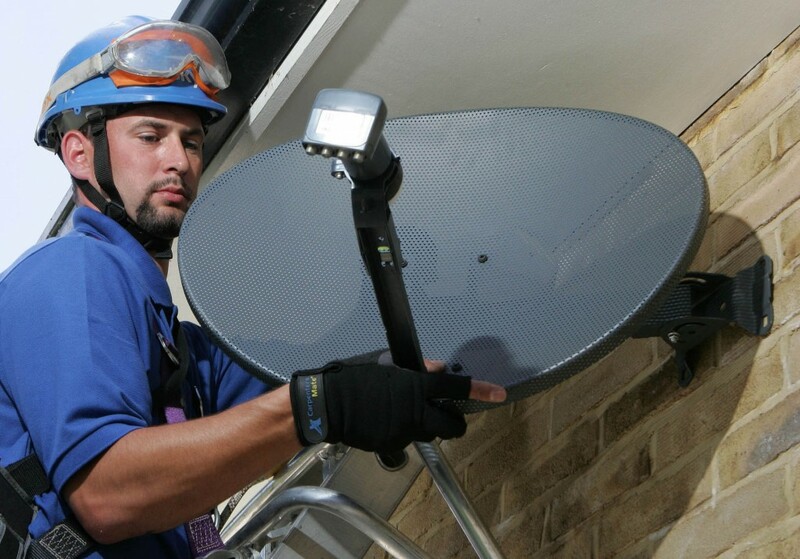 A M Aerial Installations's qualified engineers are experts in aerial installations for digital TV and Freeview. All our engineers are special heights trained, with working at heights certificates. Our services include designing and planning to complete installation, and our experts work hard to ensure timely project completion and complete customer satisfaction. Do you need a new TV Aerial? We offer a no-obligation, free quote for installations, upgrades, servicing and repairs for new or existing systems. With a free, 1 year warranty as standard, what are you waiting for? Contact our experts today and we will be happy to help. With no subscription fee or contract, Freeview gives you free access to a range of BBC, Channel 4, iTV, UKTV and Sky TV channels, radio stations and interactive services. If you’d like to receive extra channels. You can pay for Top Up TV with monthly subscription, offering a wide variety of channels like Sentanta Sports, Sky Sports and Movies, The Disney Channel, Cartoon Network, MTV, Living, and many more. If your Freeview digital receiver has CAM access, you can also pay for extra TV channels. Not sure if you can receive Freeview? Our expert engineers can test your digital reception. Whereas sometimes the online digital checker might suggest your area has no reception, our testing sometimes finds your reception to be good, meaning you can receive Freeview. In the event that digital is not available to your area, our experts can install an alternative digital viewing system, such as Freesat or Sky TV. Don’t forget, we offer a 1 year warranty as standard, and a free, no-obligation quote, with NO hidden costs. Contact us today and our engineers can guide you in the right direction.